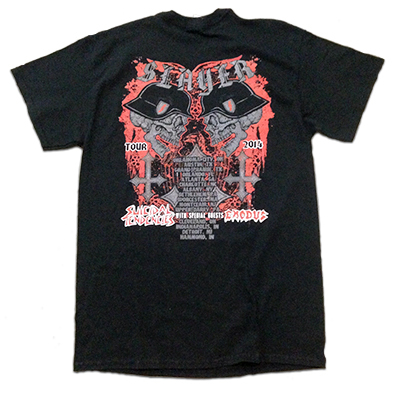 All Slayer items listed below are authentic and very limited. We do not carry multiple items. All prices and availability are subject to change. All prices include shipping and handling for all USA customers. All other destinations will require actual shipping cost to complete transaction. Have a question? Ask us before purchasing the item. Thank You. 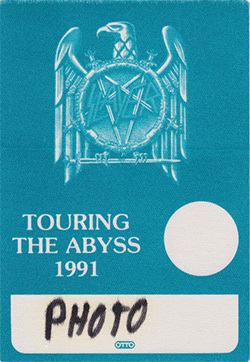 Description: 1991 Slayer The Abyss Tour After Show Pass. 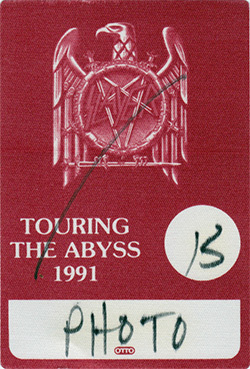 Description: 1991 Slayer The Abyss Tour Photo Pass. 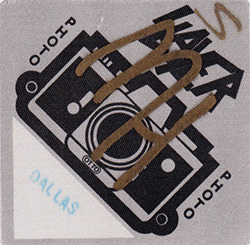 Description: 1991 Slayer The Abyss Tour Photo Pass #15. Description: 1991 Slayer Divine Intervention Tour Photo Pass MH. 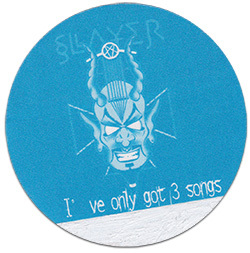 Description: 1991 Slayer Divine Intervention Tour Photo Pass O. 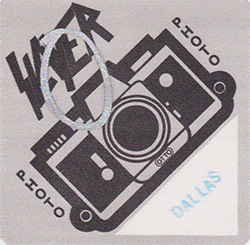 Description: 2002 Slayer Disciple Tour Photo Pass. 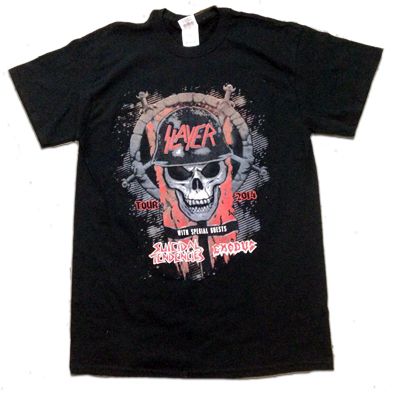 Description: Slayer 2015 Tour Concert T-shirt. A New Large 100% cotton.